The Wolf in the Attic is a novel about Anna, a refugee girl living in 1920s Oxford with her father. She only dimly remembers her life before the catastrophe that brought her to England, and, home-schooled by a governess, she does not have much contact with other children. Looking for an adventure, she sneaks out into the fields and forests around Oxford in the middle of the night, only to come face to face with something scarier than she'd ever expected, and people who seem to live more mythical, ruthless and dangerous lives. The blurbs in some places mention CS Lewis and JRR Tolkien, who live in the same Oxford as Anna. Indeed, they make cameo appearances in the book. However, this isn't their story. Their appearances add very little to the plot. To be honest, I think it might have been wiser to cut them out entirely: mentioning Narnia or Tolkien will nudge reader expectations into certain directions. The Wolf in the Attic, however, is too different in its perspective. Anna's encounters take place in our world. The strangers she meets may live differently, but they wander through the same landscapes and the same Britain that we live in. Don't think Narnia. Think Pan's Labyrinth, Alan Garner or some of the more restrained urban fantasy you might have read / watched. Meanwhile, Anna's adventures don't feel safe the way Narnia ones do, nor epic in the same way that Middleearth ones are. Paul Kearney is a fascinating writer, tackling the intersection of the otherworldly with our own world with care and a lot of thought. He's written several novels for adults which handle such stories with more complexity than most: A Different Kingdom and Riding the Unicorn. 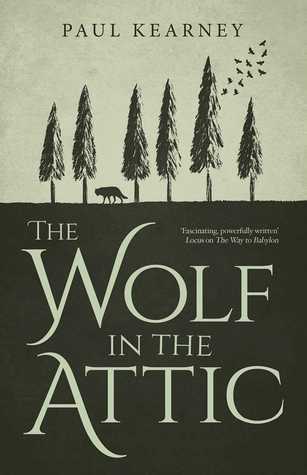 The Wolf in the Attic is a novel for Young Adults, but it, too, thinks about the grittier aspects of its type of story. In his adult novels, the protagonists are a wife-beating prison guard and a man whose youthful adventures in another world leave him broken. In the Wolf in the Attic, our heroine is a not-entirely-welcome refugee girl with a difficult father, going through puberty (in all its sticky, inglorious detail). Make no mistake: this is no flimsy light entertainment. This is literary literature. There's a lot to appreciate about this book: having a refugee as heroine is certainly timely - and a reminder that refugees come from all kinds of backgrounds and places. Anna's family are Greeks from Smyrna, which was burnt down and subjected to massacres and is now called Izmir: I had never even heard of Smyrna, so the book made me look things up and educated me about an aspect of history I'd been entirely ignorant of. As for the fantastical elements, they are evocative and primal, as they should be. That said, at times I struggled to keep reading. It throws a few too many ideas into one story. Once you mix up several different archetypal strands, you lose the beautiful clarity that a single strand can add to a tale. This is the trap that The Wolf in the Attic falls into - too many myths and ideas produce a confusing brew of a novel. The cameos of legendary Oxfordian authors is one example of an ingredient that didn't quite fit. There are others, but they would be spoilers. To be honest, I'd recommend Paul Kearney's earlier novels: their themes are more coherent and, though serious, they never dragged. The Wolf in the Attic is not a bad novel. 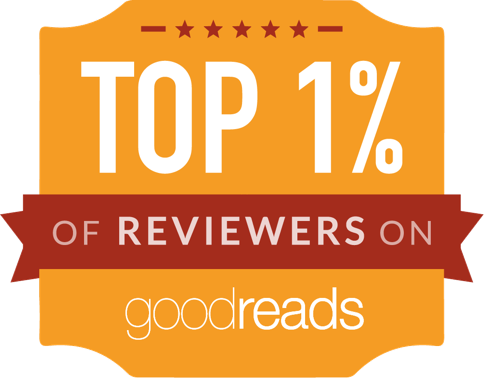 It's clever and interesting and has a lot to recommend it. Sadly, the mix of ingredients is not quite right. I was a little unsure about the inclusion of Tolkien and Lewis. On the one hand, using real people as characters often doesn't work for me (having that problem with Tim Powers' The Stress of Her Regard, which should be titled How Many Romantic Poets Does It Take To Fix a Supernatural Threat -- so far we have Byron, Shelley and Keats, along with Mary Shelley and other supporting female characters from those poets' lives). On the other, Tolkien! I still plan to read it, but would you recommend I start with a different Kearney novel, then? Not necessarily. The Wolf in the Attic is the most recent / new one, and all the ones I've mentioned are standalone novels. I think he's also written some high fantasy series, which I haven't read (they looked a little too standard to me, whereas those of Kearney's books where our world and a fantasy world intersect seem quite a bit different from the usual run-of-the-mill).